A brace from Paul Pogba and a brilliant solo goal from Anthony Martial earned the Red Devils all three points, taking them up to the fourth spot in the league table for the first time this season. It was Pogba who was named the man of the match, with his two goals – first an emphatic left-footed strike from a difficult angle and the second his typical spot-kick – taking his overall Premier League goal tally of the season to 11. This is the first time the France international has bagged a double-figure goal tally in the league so far in his career. Naturally, everyone associated with the player and the club was delighted with this stat, apart from one Manchester United player. 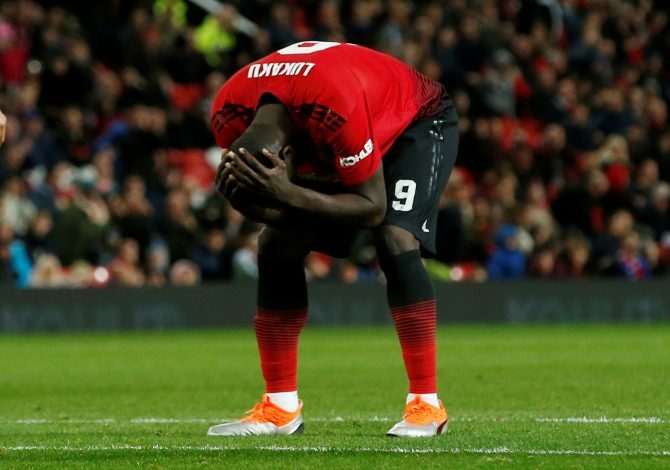 As soon as Pogba’s opening goal – his 10th PL strike of the season – hit the net in the 14th minute of the game, all Manchester United players were seen celebrating immediately, except star striker Romelu Lukaku. The Belgian international’s initial reaction was that of frustration for not being passed the ball, as he was seen raising his arms as if questioning Pogba’s decision to shoot instead. Lukaku did join the goal celebration later, but the pundits as well as the fans were quick to spot his first reaction, and did not hesitate to criticise it. While some supporters simply made fun of the striker, others questioned his behaviour, whilst also expressing annoyance at his unnecessary complaints. What do you make of the Belgian’s reaction?